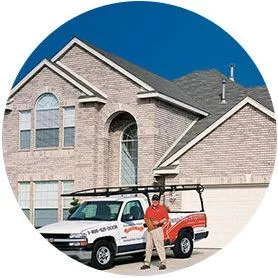 Looking for fiberglass insulation contractors? If you’re located in Burlington, Vermont or a surrounding area, consider your search over. Overhead Co. of Burlington is a good name to know! Fiberglass is one of the most commonly installed types of insulation and is available in as both blown-in insulation and batt insulation. It can be installed in various areas of homes and buildings, such as attics, walls and crawl spaces. Consider your search for “insulation contractors near me” over! Our experts improve the energy efficiency, comfort and value of homes and buildings, completing both both retrofit and new construction projects throughout northwestern Vermont. No matter your needs, we have you covered. The Overhead Co. of Burlington team is proud to work with Builders Installed Products to install high-quality batt and blown-in fiberglass.